I haven't seen one done by anyone on here so I am adding mine. Hope it helps someone. 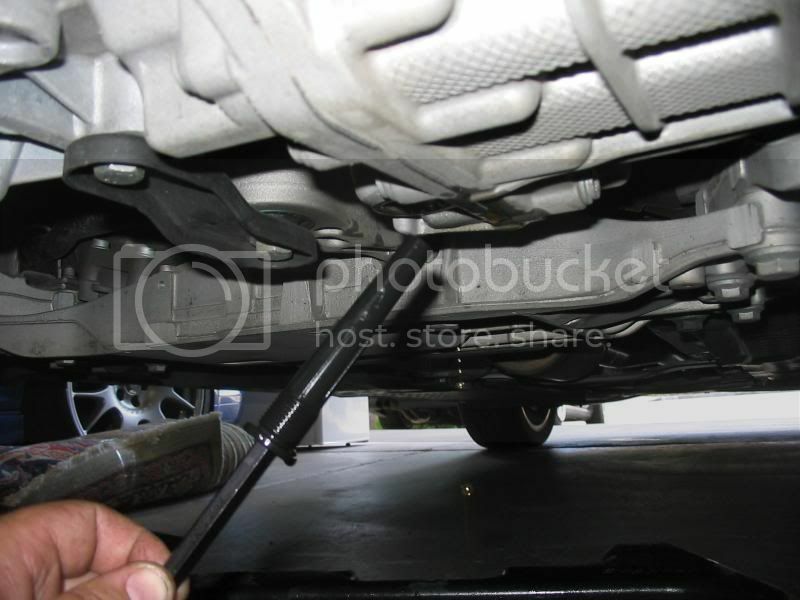 I decided to do a technical write up on the service you should be doing every 40K miles. 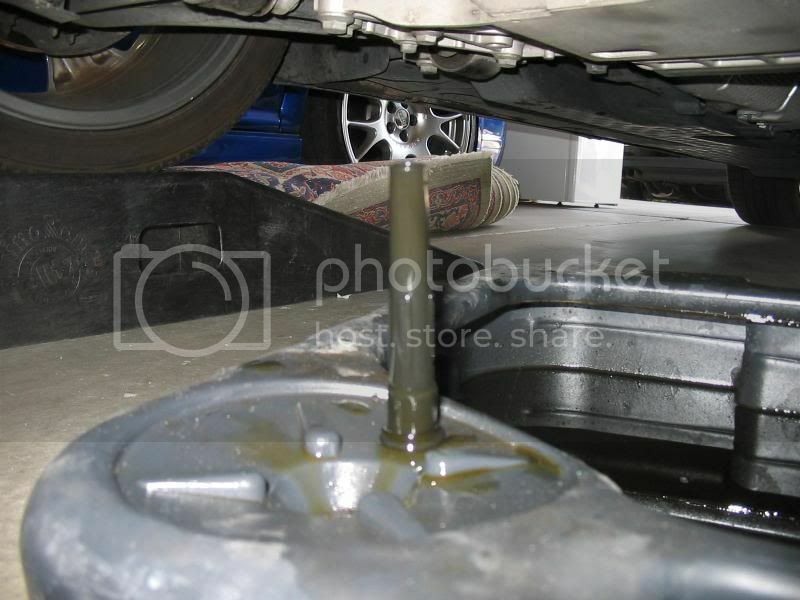 The transmission has to be cold at start of service in order to adjust fluid level properly. I'd let the car sit overnight so that it gives you time to do what you need to do. It is difficult to remove this cover because of the way it is held on. I pull up in the back first as it is reinforced. 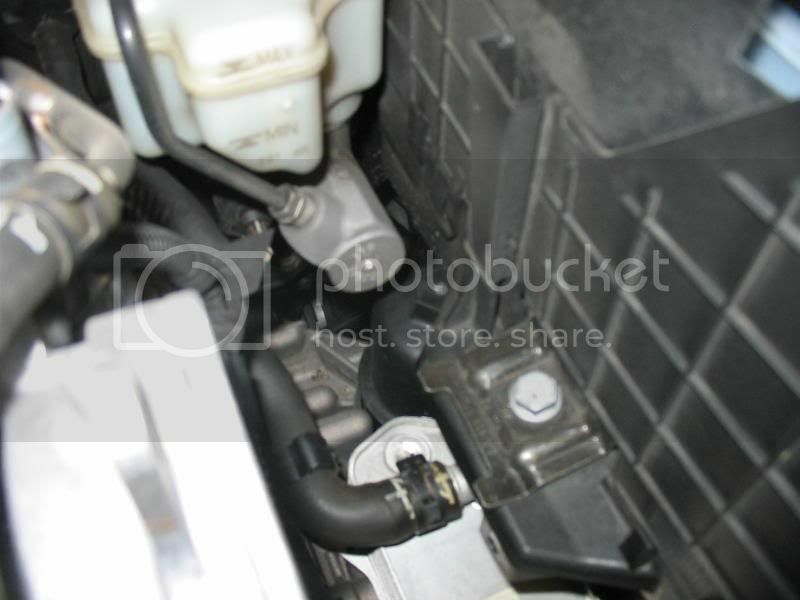 Remove MAF connector, clips for turbo inlet and fresh air inlet. Watch out for J nuts on the airbox inlet, if they come out put them back on the way they came off. Next you'll want to remove the filter housing. It is located under the battery and is hard to see at first. 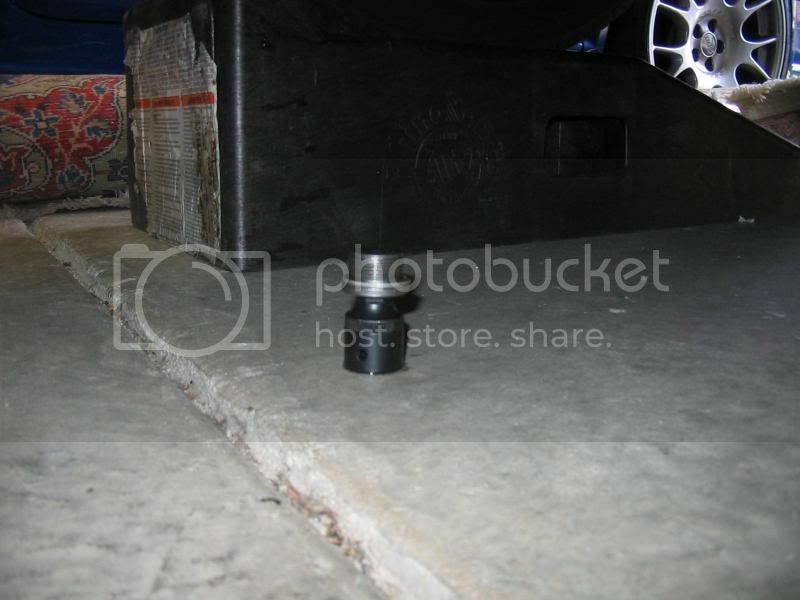 Use a 24MM socket with extension to loosen the housing. Reach down and unscrew the housing and tilt it in it's bore to drain the fluid back into the trans. 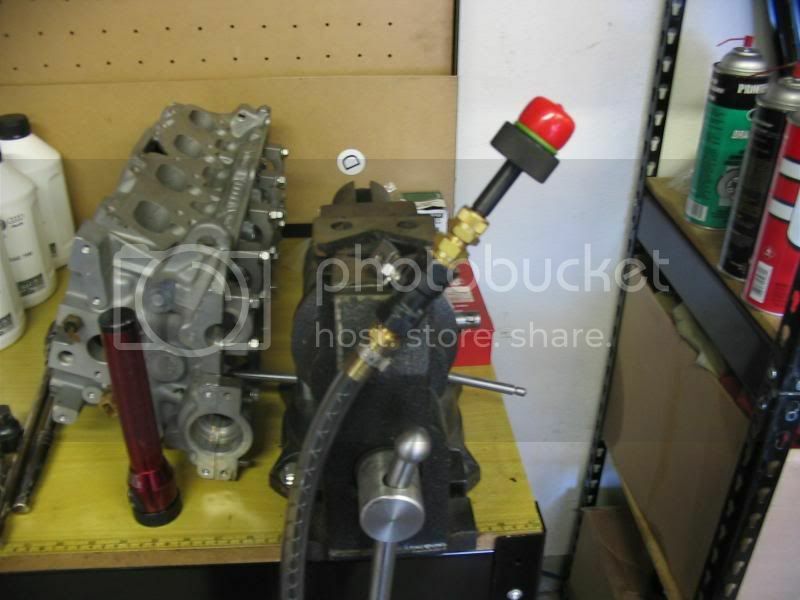 Once it is done draining pull housing out from behind the engine. It is a tight fit and requires patience. Pull filter out same direction. 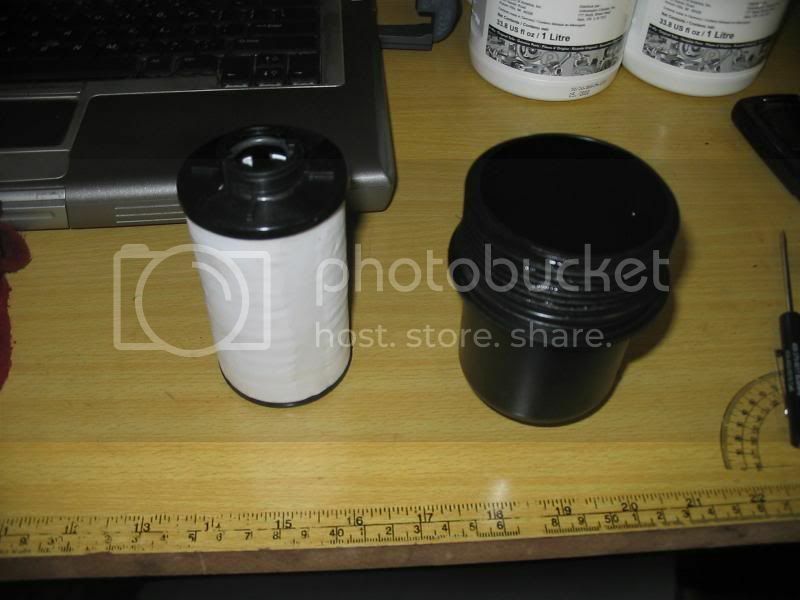 Replace filter in opposite order. The filters do not come with O-rings so reuse old one. I's assume at some point there will be one included with the filter but for now it is okay to reuse. 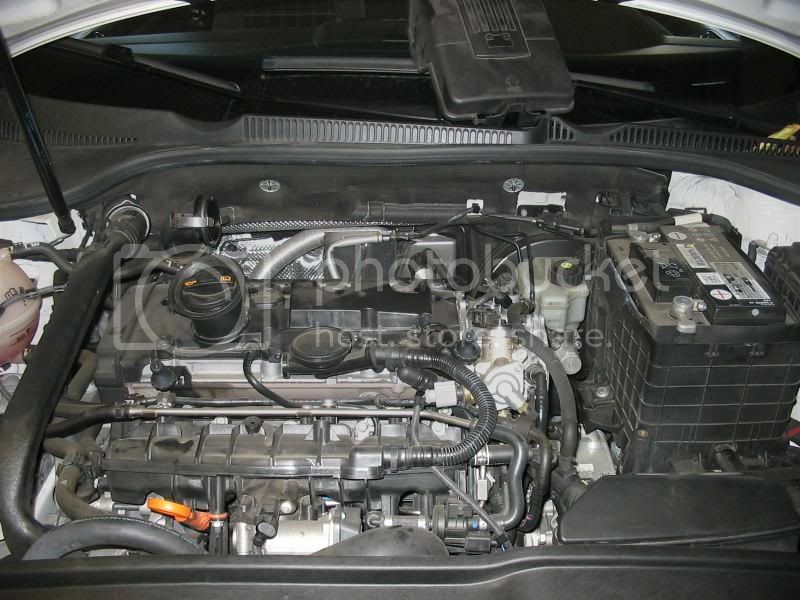 After the filter has been replaced, install engine cover and reconnect MAF harness and clips and torx screws. Next you are going to go under the car. 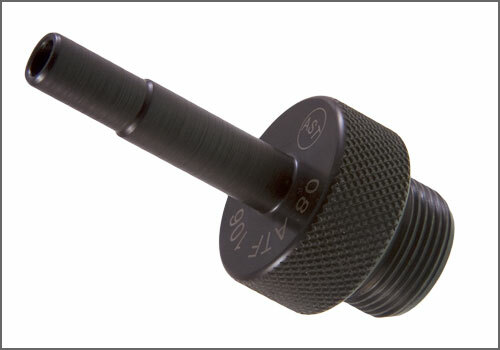 With the car properly raised off ground using suitable jackstands or ramps, remove drain plug using 14MM Allen socket. 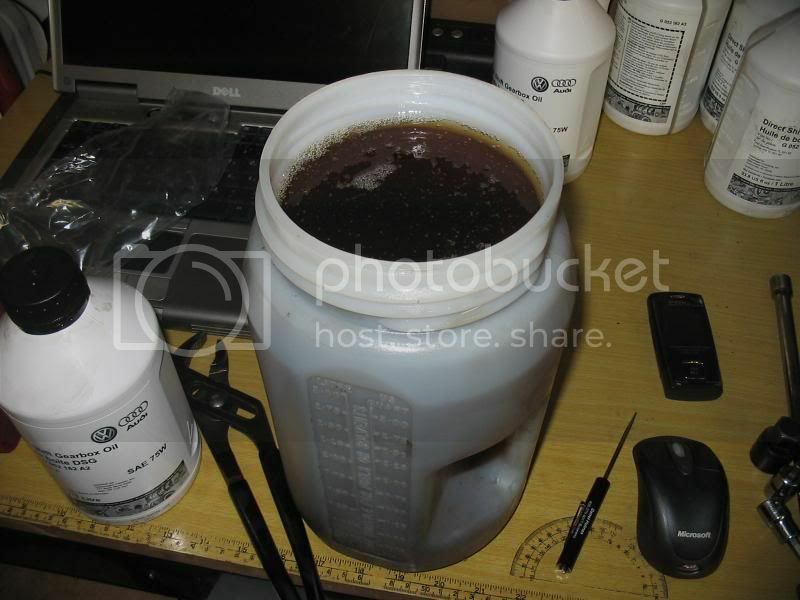 Use a container able to hold approximately 6L of fluid. Once the plug is removed you will notice that not much fluid comes out. Once the initial fluid stops you can use an 8MM Allen or Allen socket to remove the plastic overflow tube inside the drain hole. 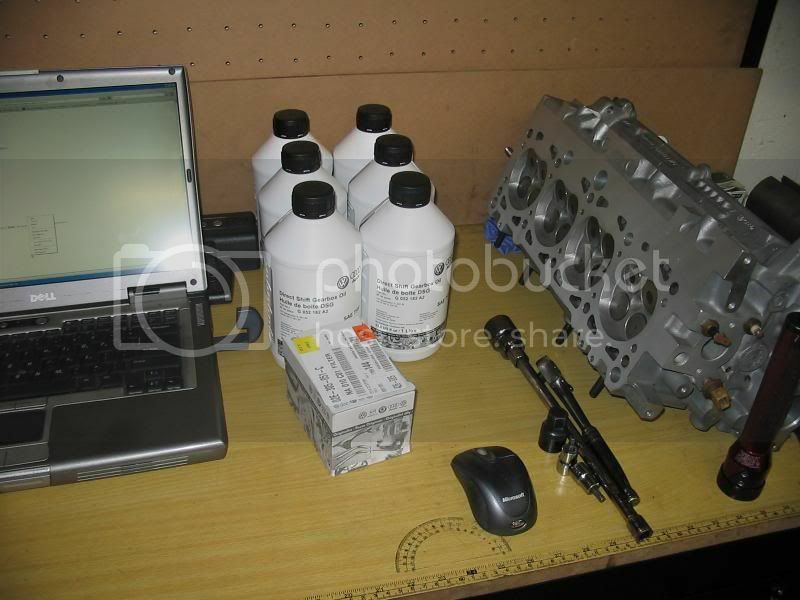 This is where you will drain 5L of fluid. Once the fluid has stopped draining replace plastic overflow tube and tighten to 3 nm. 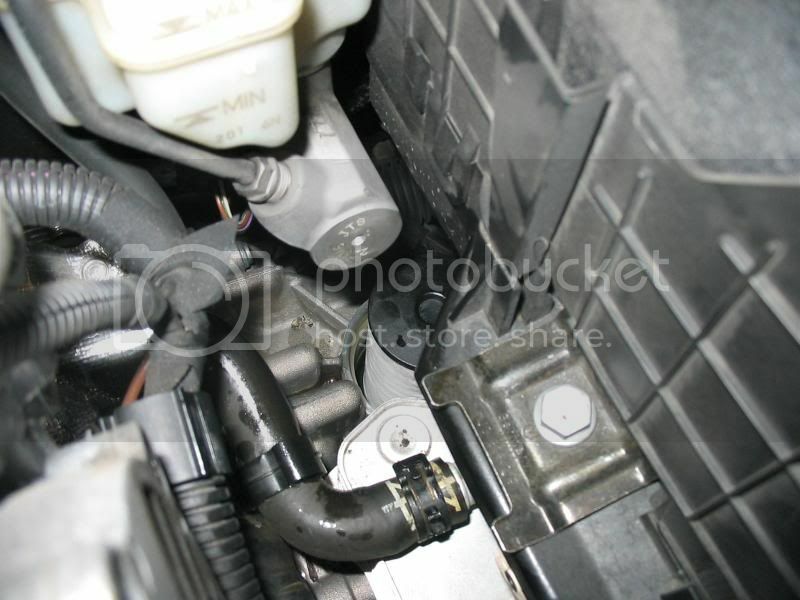 Next you will be inserting VAS 6262 Tool or AST ATF 106 tool in place of drain plug. 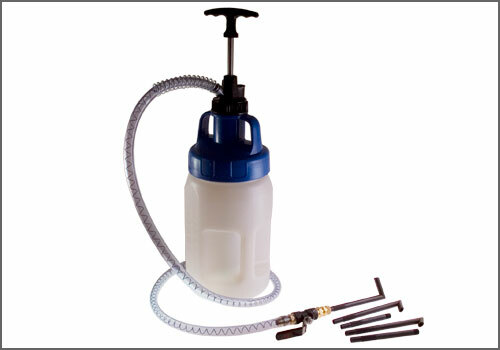 The VAS 6262 utilizes the DSG fluid bottles to fill the transmission. It is more time consuming to do it this way but should be cheaper than purchasing the AST system. However if you are doing alot of trans services it pays for itself fast. From this point on I will be talking only about the AST system. You will now need to fill the AST bottle with the DSG fluid. 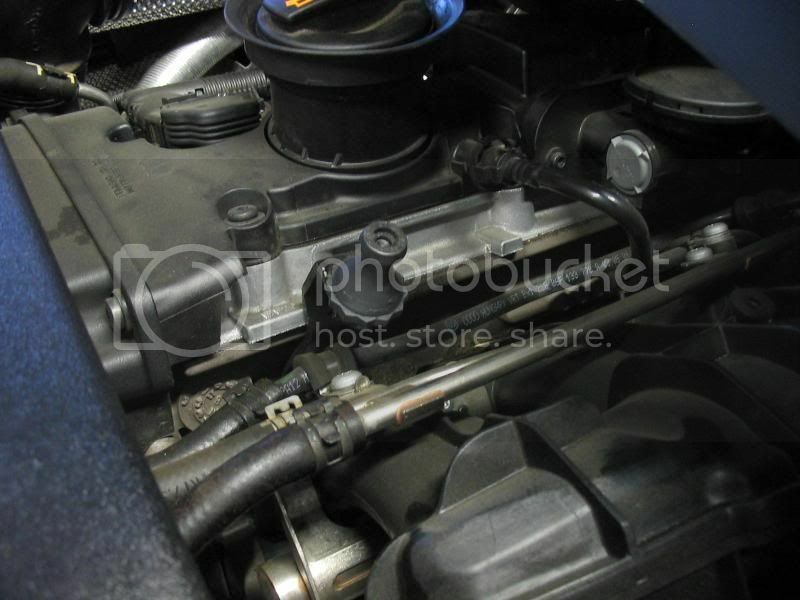 It holds about 3.5L of oil so you will need to refill before the engine is started. 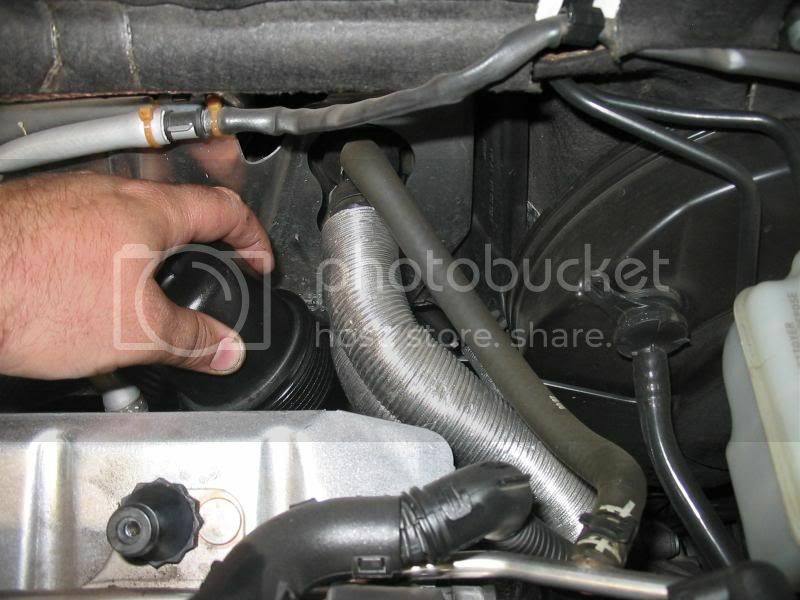 Now connect the AST hose to the fitting you previously inserted into the drain hole. Connect VAG-COM to vehicle and access transmission electronics. 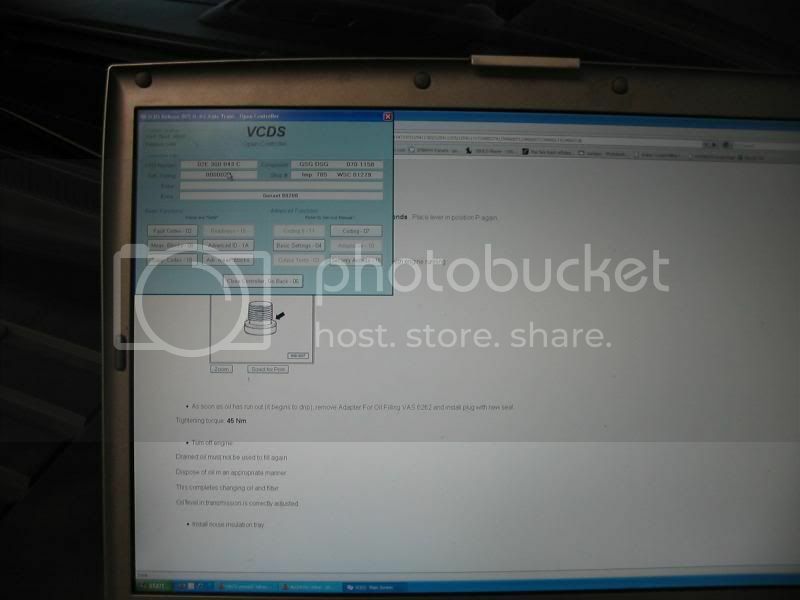 Go to Data block 19 and monitor Transmission Fluid Temp. 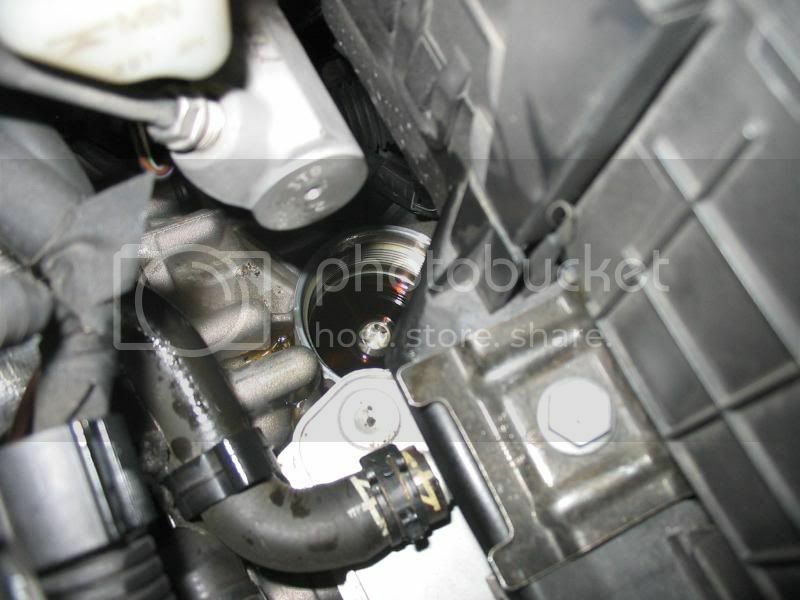 Pump 5.5L of fluid into the transmission and close off valve. Go to the topside of the car and start engine. Holding brake, move gear selector into each position for 3 seconds and return to park. Now let idle and watch temp on screen. 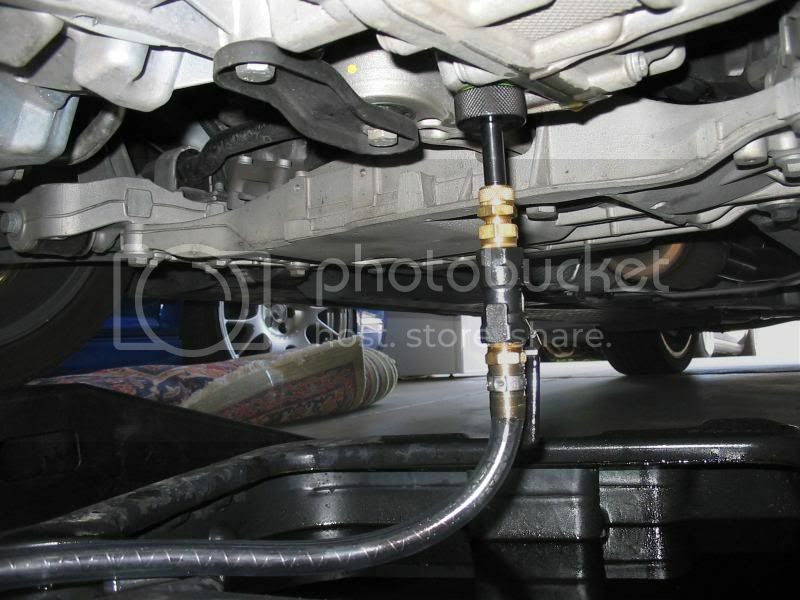 Once the temp is at 35 deg Celcius, remove adapter, hose and allow excess fluid to drain. Once the fluid level is correct it will slow to a drip. 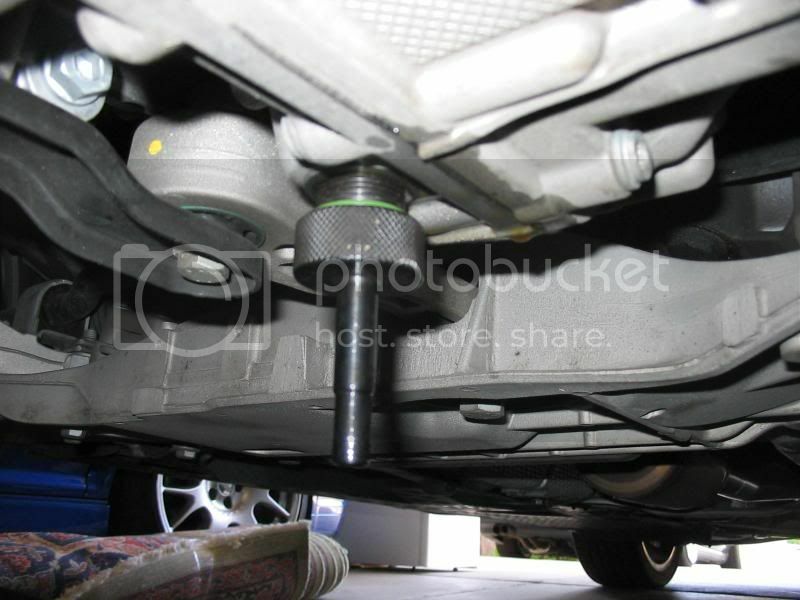 At this point replace drain plug with new aluminum washer and torque to 45 nm. Clean off oil and test drive. Enjoy! You should also make sure that when you are doing the final step. To have the car level so the right amount of fluid comes out. 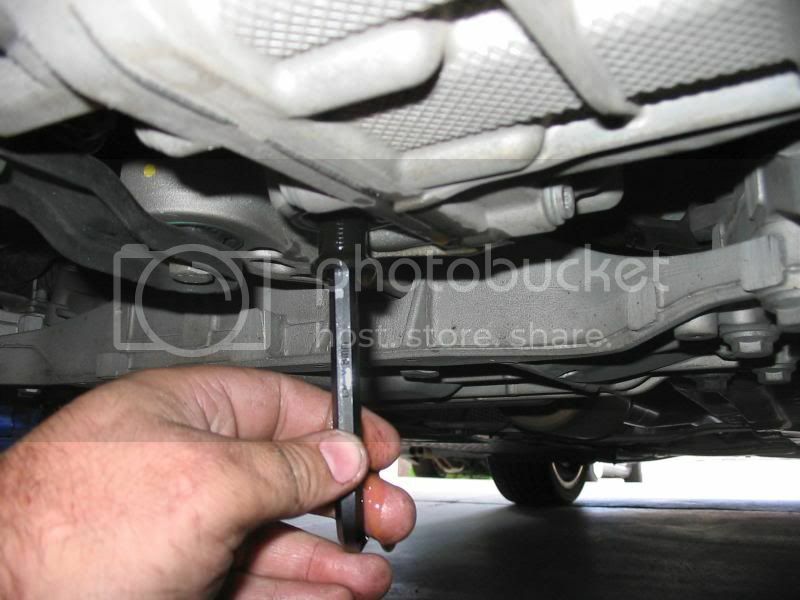 This will let you make sure its filled to the proper level and not a little less because the car being on a slope. To the OP, this is an important step which according to the photos was not followed! Good point. If you use a set of ramps the trans actually sits pretty level. Otherwise a rack is preferred. Can this get added to the DYI Trans section? I wish I could do it. Besides dealer ships who can do this properly? I assume this is not regular shop kind of stuff? And how much is this at the stealerships? It's really not that hard. The biggest hurdle you have to get over is that it is not filled from the top. Once you can conceptualize how the service works it's cake. If you've done one you can do it within 30 min again with the right tools. whats that blue car in the back??? what do you guys mean by leveled? like the car has to be on a lift or on 4 jack stands? also how does the fluid go in if you do it one quart at a time with the other hose? Normally the fluid is gravity fed (think of an IV setup as seen in Hospitals). The pump in this write-up is pricey, so I went to Murray's Auto and purchased a $6.50 Valvoline hand pump. The threads on this pump don't work on the DSG bottles, but it doesn't matter. There is an extension tube on the Valvoline pump that can be trimmed for length. Just attach it to the pump, trim the length until the top of the pump touches the top of the bottle, and hold it in place with one hand, and pump with the other. 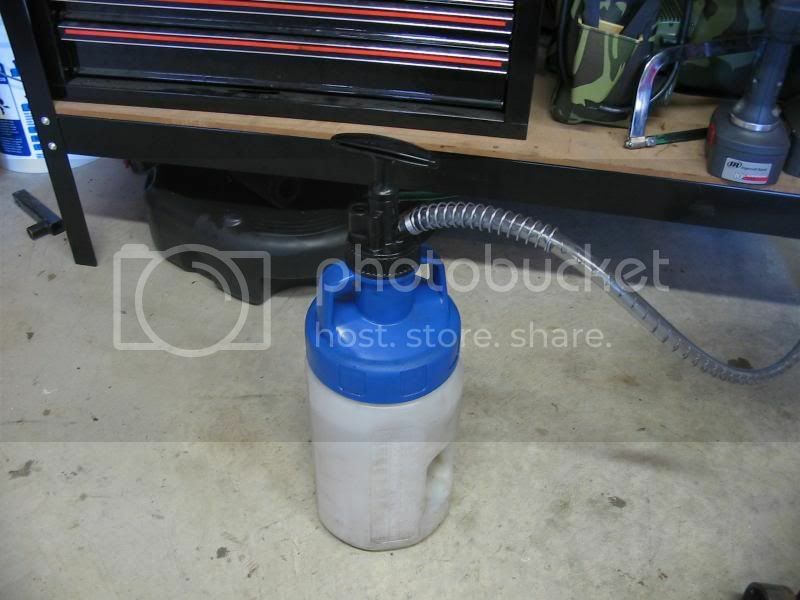 Is this like a gear lube pump for filling differentials? 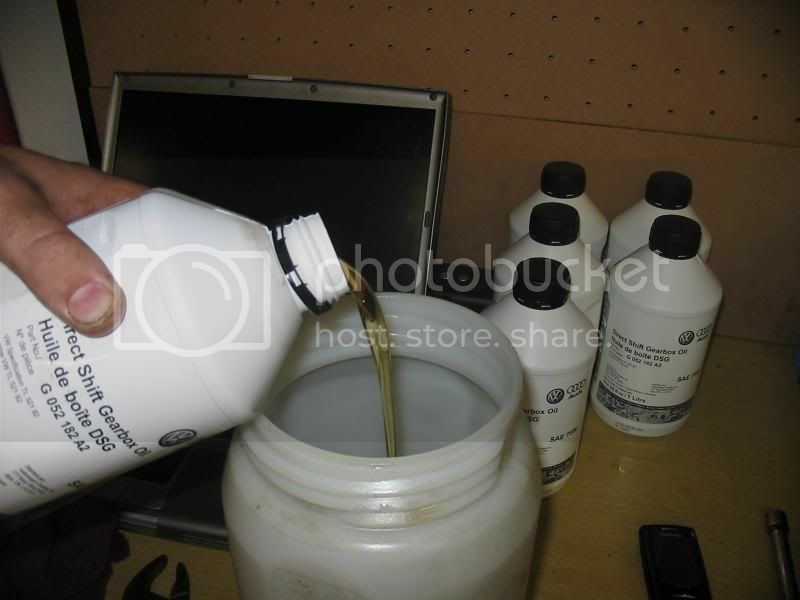 I bought the ATF 106 adapter and was thinking about using a bug sprayer to pump in the fluid, but I guess a gear lube pump would work well. 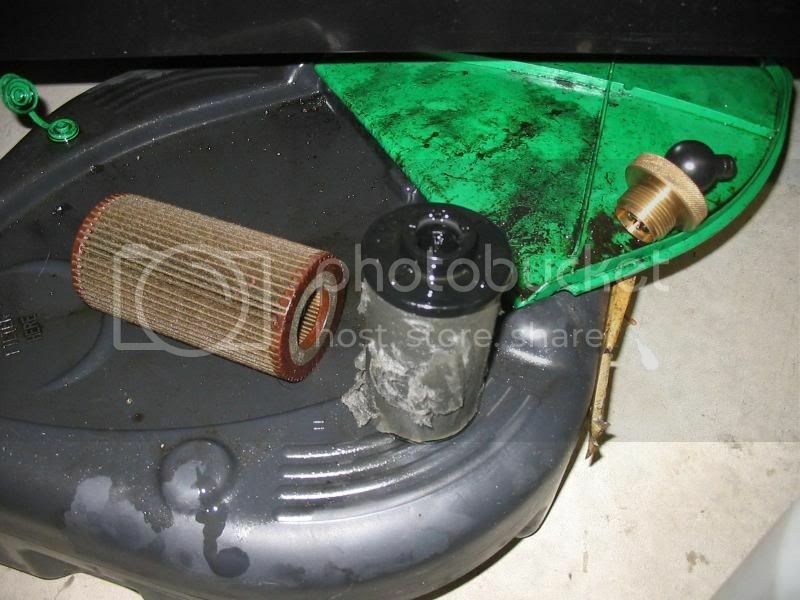 so you are letting the car run after removing the adapter(while letting the excess to drain? Looks that way. I'm going to bust it out this weekend. You let the excess drain until it stops. Then you put on the cap (plug) screw. 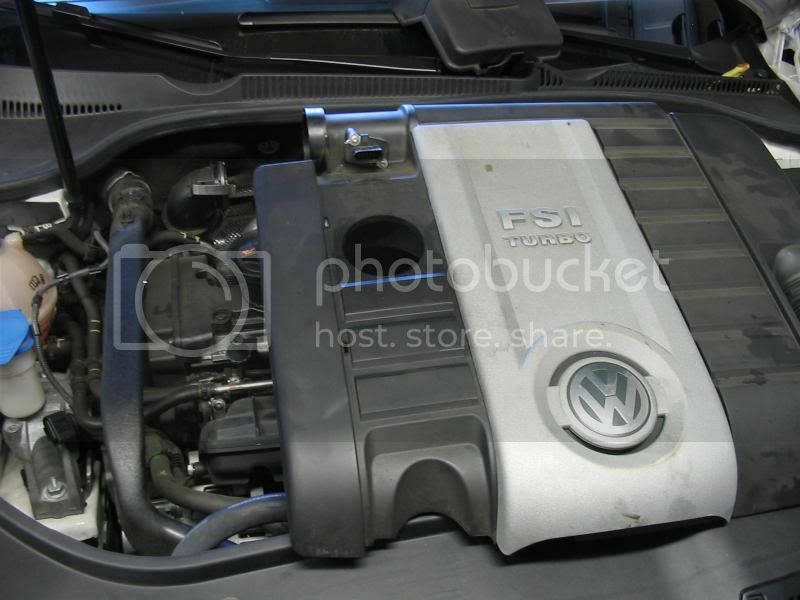 After that you start it and let it warm up to do the Transmission reset via VAG-COM. 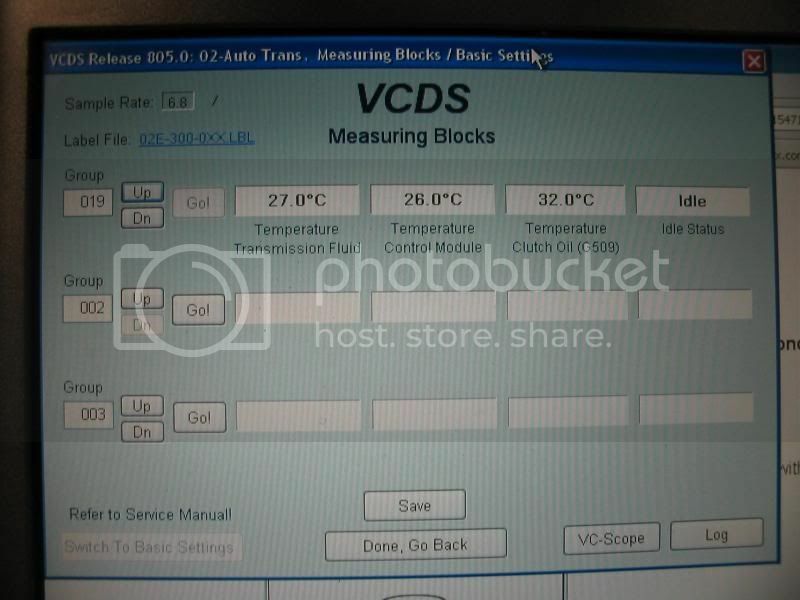 Vag-Com Select 02 Auto Trans go to Meas.Blocks-08 grup 019 and then GO. Do not switch off engine!